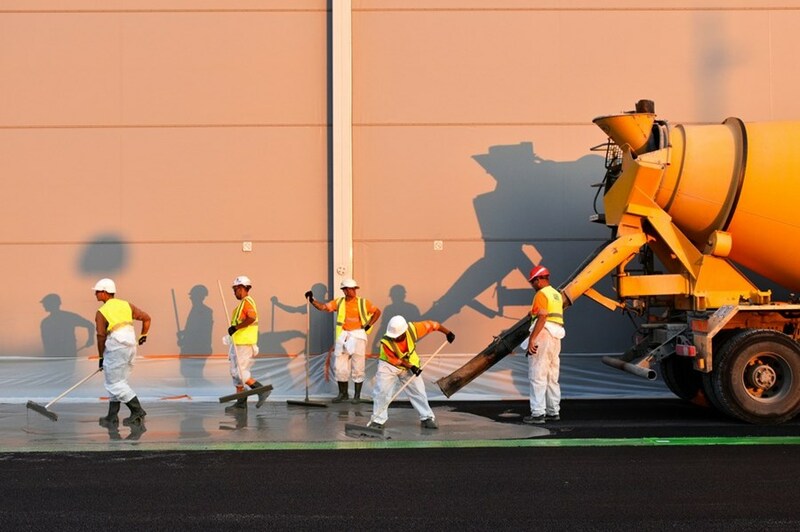 A section of runway-worthy tarmac has been completed at ITER. But no plane will ever land here. 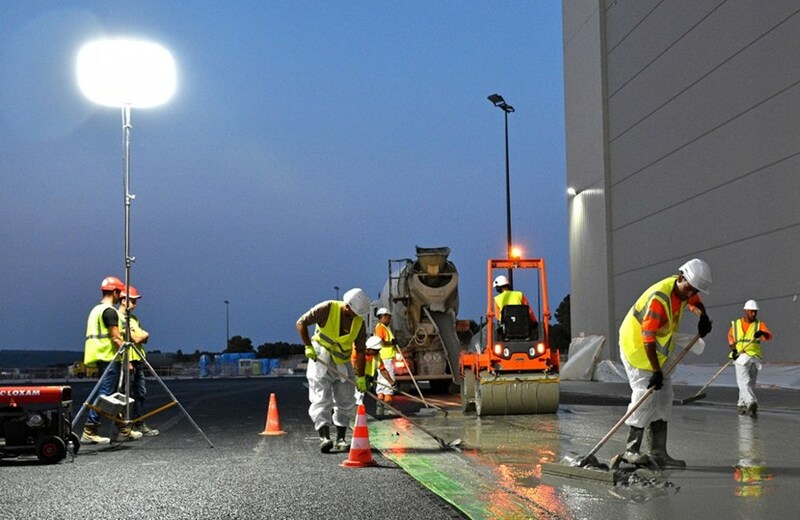 Workers of the French company Colas finalize the surfacing by spreading concrete grout. The work was carried out under the responsibility of Fusion for Energy (F4E), the European Domestic Agency, and supervised by Engage, F4E's architect-engineer contractor. On three consecutive evenings last summer, work proceeded into the night to finalize the surfacing on a 5,000 m² area near the Cryostat Workshop. The road works were carried out to prepare for the relocation of a completed section of the ITER cryostat—the 490-tonne lower cylinder—from the workshop to a dedicated storage area on the platform. The combined weight of the cryostat section and its transport vehicle calls for airfield-grade paving materials. While regular roads have a load-bearing capacity of 5 tonnes per cubic metre, the surface in front of the Cryostat Workshop needs to withstand higher pressures of up to 20 tonnes per cubic metre. And like on airfields, the new pavement also has a higher resistance for turning loads. In front of the 30-metre doors of the Cryostat Workshop, the surface has been reinforced to prepare for the removal of the first completed section—the 490-tonne lower cylinder. A combination of specially designed materials ensures that the road surfacing—while only 15 centimetres thick—has the required properties. The compacted 11-centimetre-thick base layer consists of Optibase, an asphalt of a particular formulation developed for heavy-load roads. This has been topped with a thin layer of highly permeable asphalt. In a final step, workers spread a reinforcing concrete grout across the entire asphalt surface, allowing it to seep into all the cracks and open spaces. The surface in front of the Cryostat Workshop is now ready for the relocation of the lower cylinder to the nearby storage area, making space for the upper cylinder that will be assembled next. It is only the first area on the platform that has been upgraded to airfield-like tarmac. Other roads on the platform will follow suit in receiving this treatment once the work on the underground service networks in those areas has been completed. This will include the stretch of road near the Cleaning Building as well as the roads leading to the Poloidal Field Coils Winding Facility and around the cryoplant.